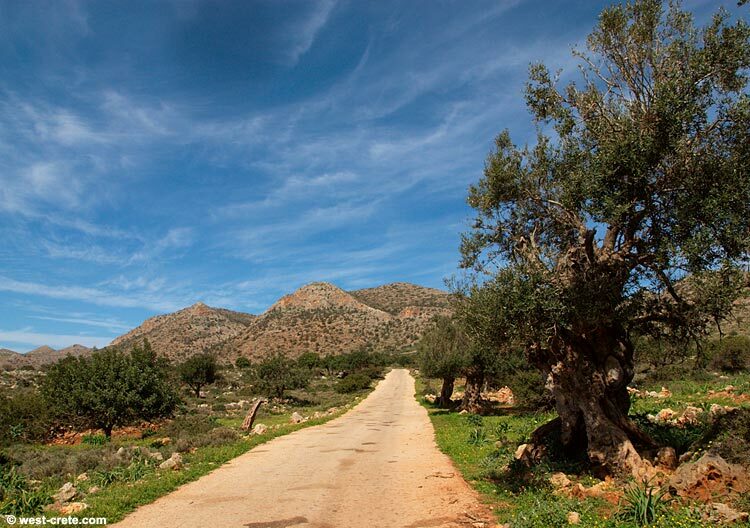 This is the road leading to the monastery of Gouvenerto on the peninsula of Akrotiri. What I like in this image is that road heading straight up for the hills (these unmistakable hills running at the northern end of the peninsula). With this big sky above it could almost be a Western movie, if it wasn't for the olive trees.